So it's been about a month since I posted my last Shop my stash post and I decided it was a time for a switch up. 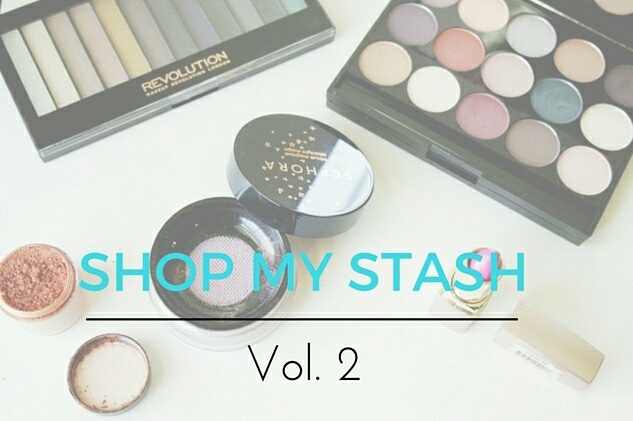 Rotating my makeup collection has definitely helped me to get use out of things that I forget about. Last month, I featured a few items that I pulled out to use and it really helped because I pulled something out of that drawer almost daily. My rule is, if its not in my eye view I probably won't use it so monthly I like to change things up. When I first bought this palette, I wore it almost everyday for about two weeks and then it got pushed to the back of my makeup cabinet, but I really enjoyed this palette and want to pull it back out. I think that the darker colors mixed with some pops of color will be perfect for summer weekend looks. I love Makeup Revolution Redemption palettes and I cannot wait to get more use out of this one. I picked up this palette over the Holiday season and its actually a really versatile neutral palette. My favorite part of this palette is the blush portion. 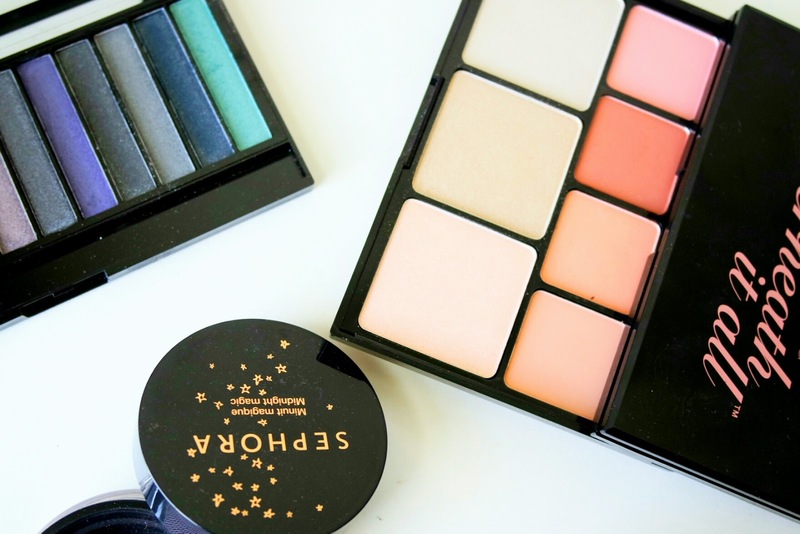 They are so pretty and complement the 15 eyeshadows perfectly! I am definitely going to use this as my everyday palette for work looks! Milani Color Statement Lipstick in " Rose Hip"
This color is a true throwback for me. It was one of the first bright lipsticks that I purchased and I wore it non stop. This one is actually the last of my back ups and I think this will be perfect for summer pops of color or for a extremely simple look with a bright lip. I actually don't even know the name of this pigment because the sticker came off. As you can see from the packaging style, this pigment is old. It's old, but it is quite beautiful and perfect for the summer. It's not super shimmery which is actually a good thing. I always use orange as my transition color and pigments are perfect for the lid so I may try it for that. Sephora Midnight Magic is "Rose Gold"
This product came into my collection by chance as it was on sale at Sephora a few weeks ago and I just happen to swatch it. OMG....this stuff is so freaking pretty. 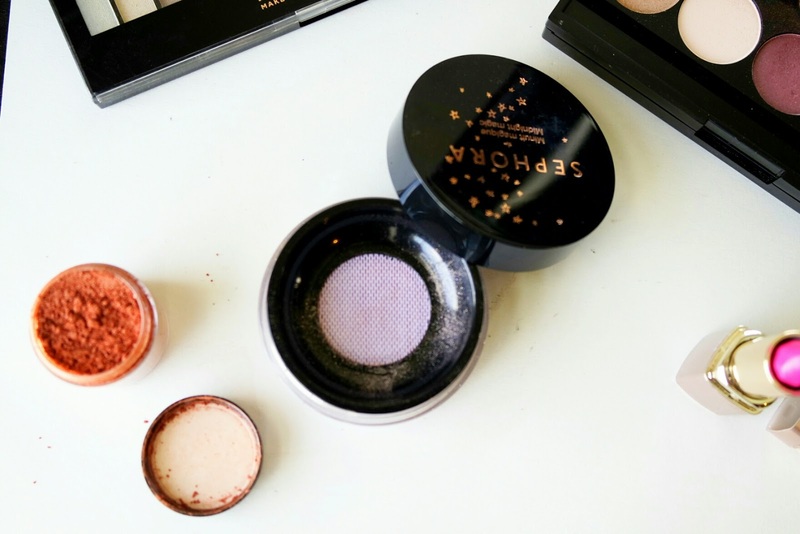 Its a face and body glitter pot, but is more of a intensely pigmented loose powder highlighter. I love to layer this over my liquid or stick highlighters or when I need an extra pop. It's describes as a glitter, but the particles are really fine and it doesn't give that textured look that chunky glitter can give. I cannot wait to start adding these items to my daily makeup routine so that more of my makeup gets the love it deserves. Comment below on how you make the most out of your makeup collection. I really could use some ideas on how to use everything, especially when I love to try new things! Also, Share this post on Twitter, Facebook, and Pinterest!